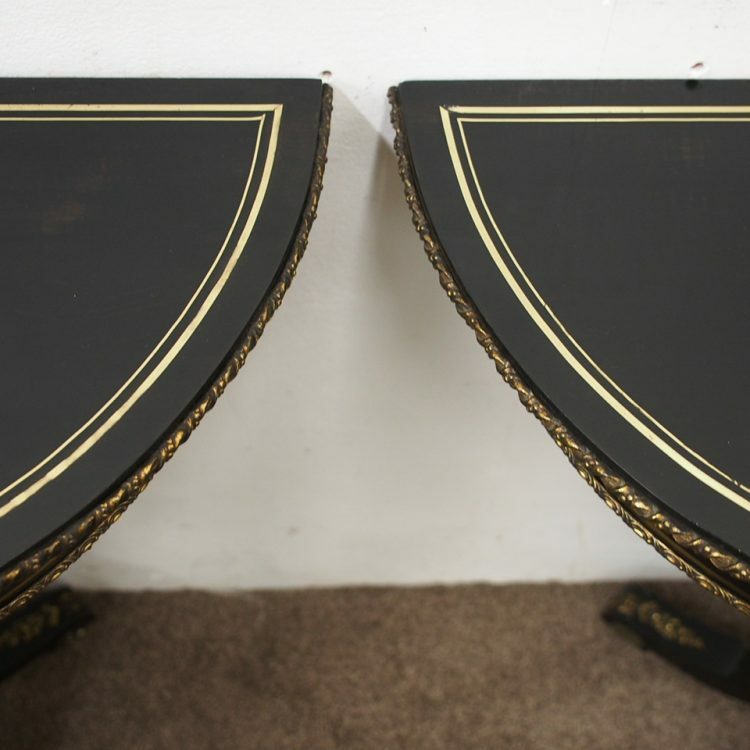 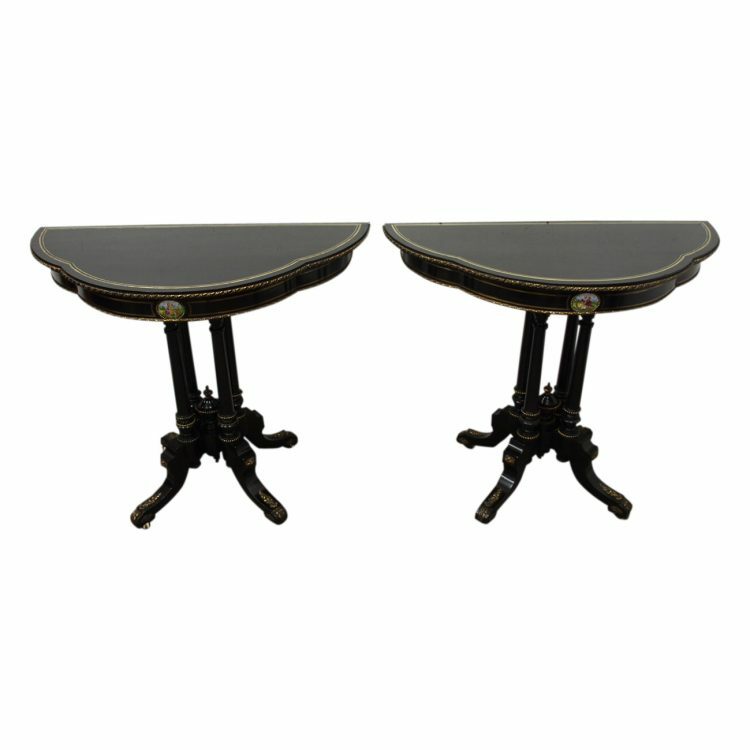 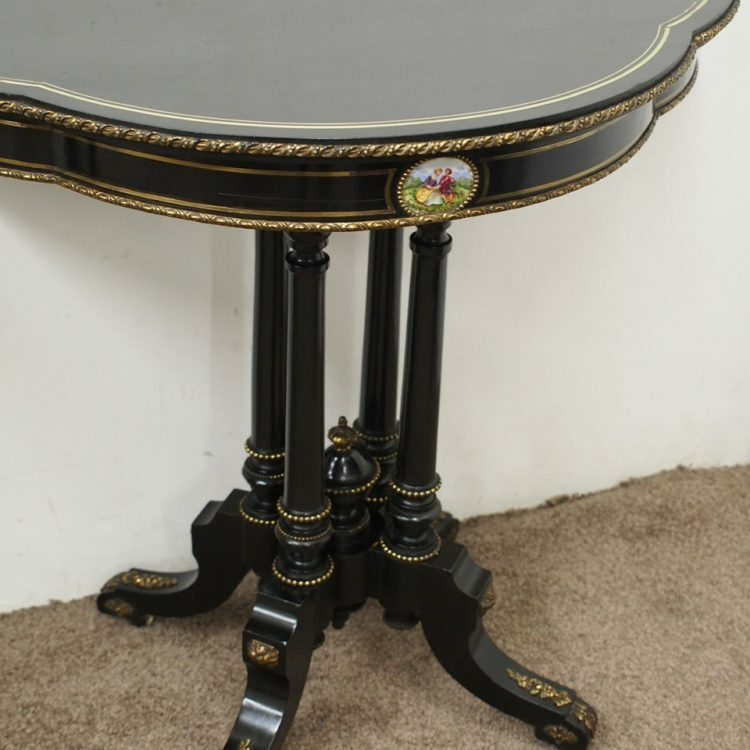 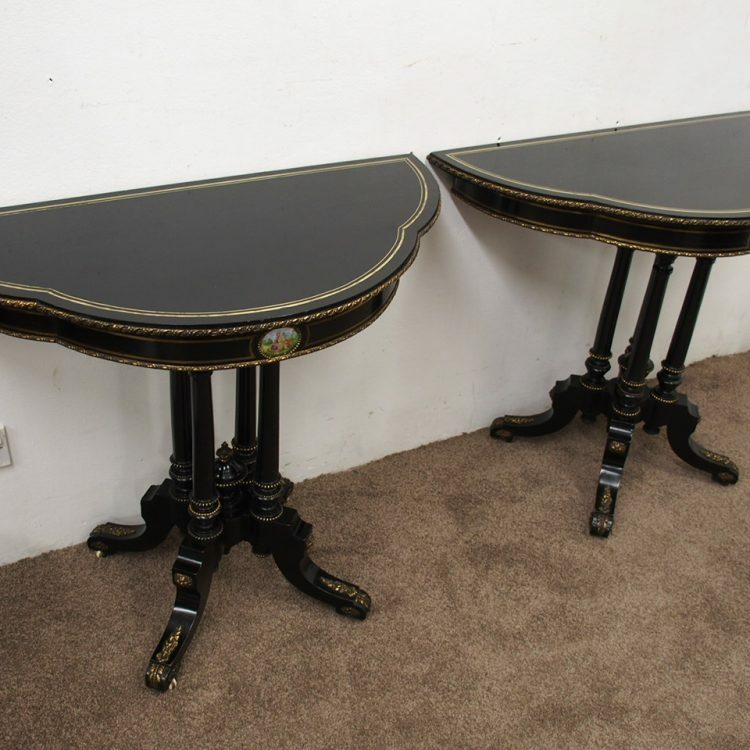 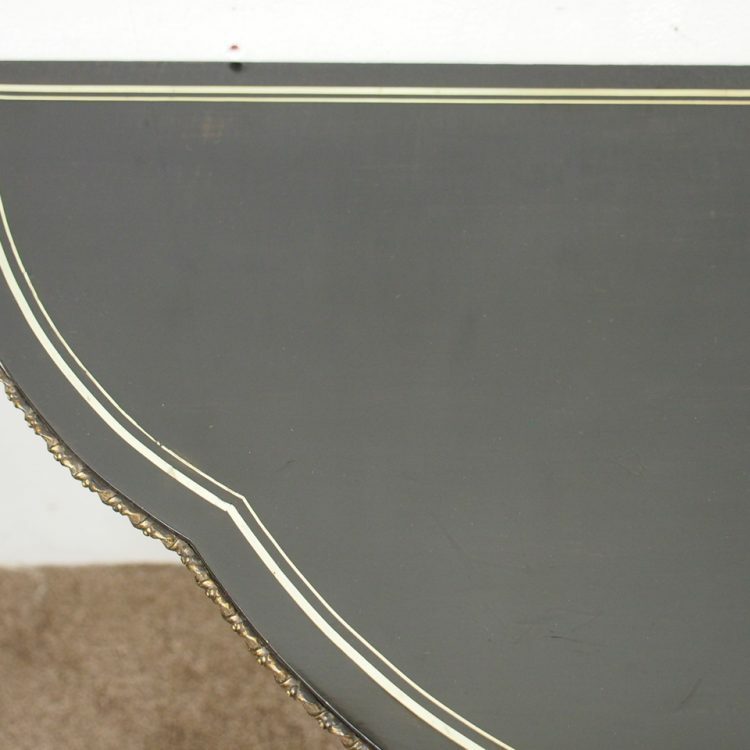 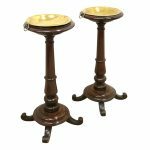 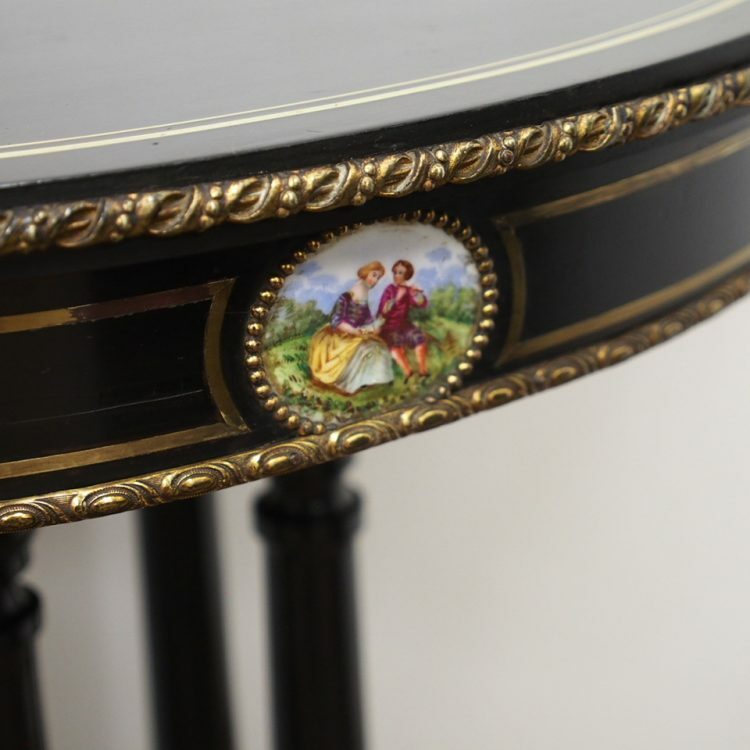 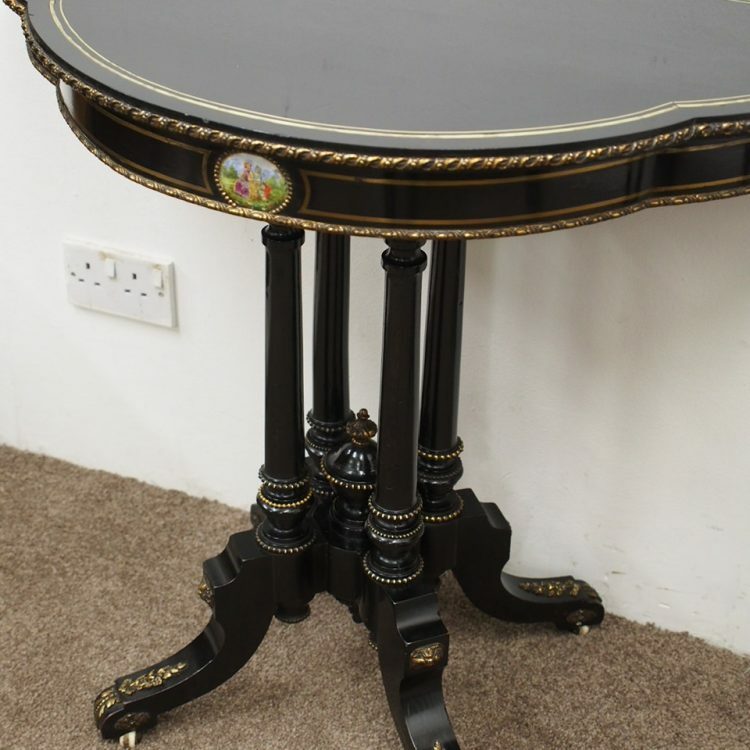 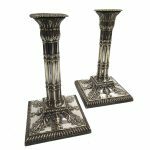 Circa 1880, rare pair of brass-inlaid, ebonised side tables. 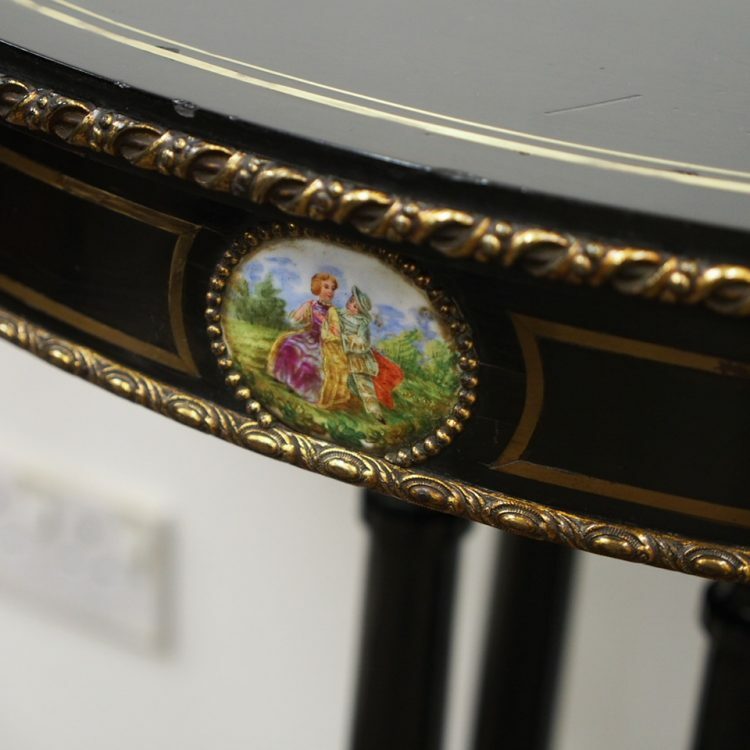 The shaped, brass-inlaid tops with cast ormolu fore-edge mounts over a brass inlaid frieze with further ormolu mounts and oval hand-painted porcelain plaques. 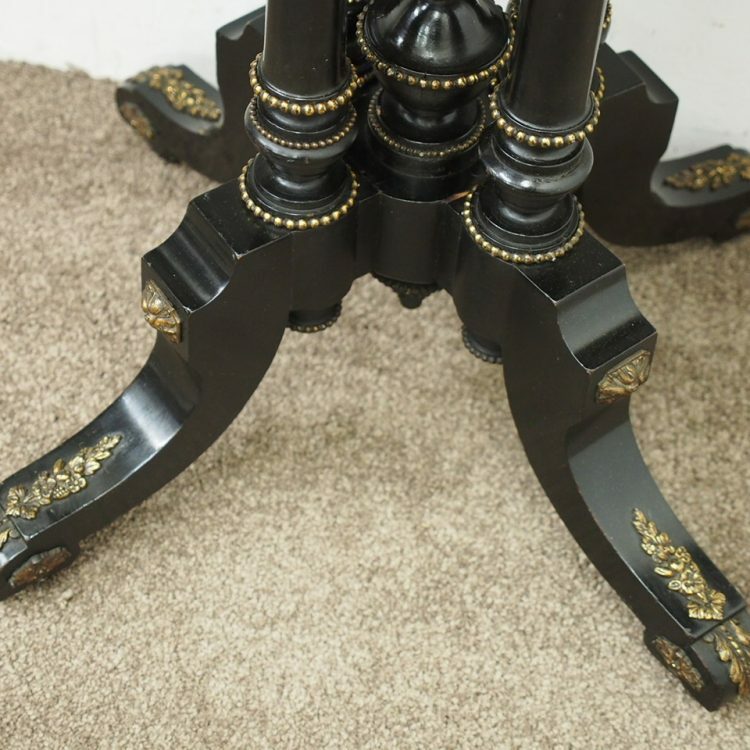 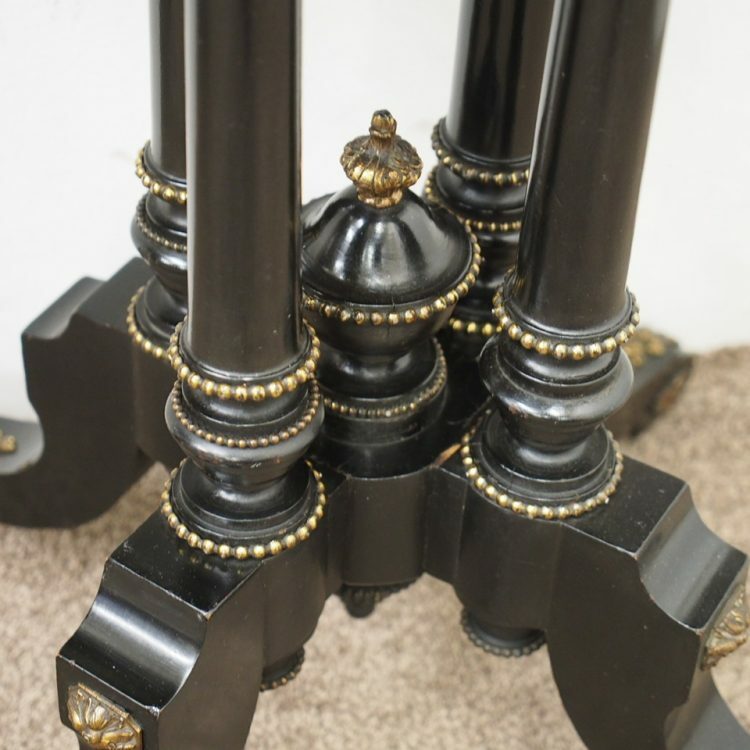 All supported on four tapering columns with brass beaded decorations over four ormolu mounted cabriole supports with white porcelain castors. 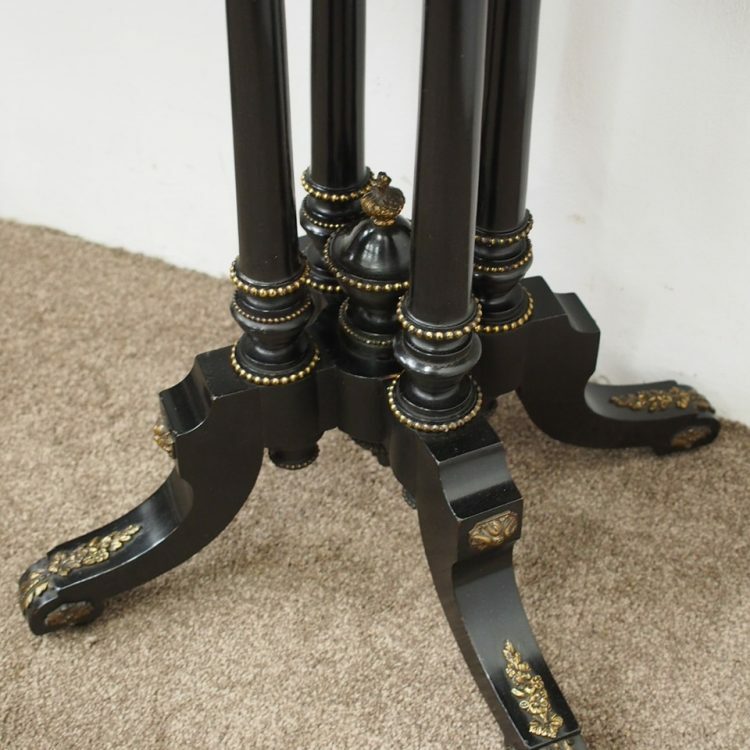 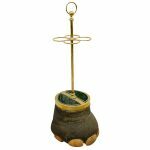 Size 76 cm high x 93 cm wide x 46 cm deep.